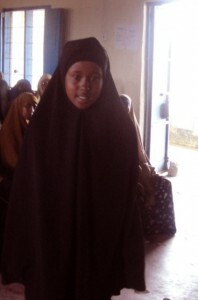 Habaswein is in Wajir, North Eastern Kenya. Other than being demographically and terrain challenged, it is an area where infibulation, the severest form of Female Genital Mutilation (FGM) is highly practiced. It is on this basis,that the African Family Health organization, together with the Population Council decided to celebrate women in a different way by organizing an anti FGM crusade in Habaswein with the aim of delinking Female genital Mutilation from Islam religion. On this day, the partners mobilized reputable Islam scholars like Sheikh Siyaat and Sheikh Ibrahim Lethome (Population Council Consultant); who recited different verses of the Quran and Hadith that proved that the community’s argument on practicing FGM stands baseless and unfounded. Community members indicated that they were ready to listen to religious scholars and would be prepared to stop any practices that are not in line with Islamic teachings. In the effort of bridging the gap between the boy and girl child, World Vision built a boarding school in the area. The parents are encouraged to take deliberate efforts to send children to school. With the help of Maendeleo ya Wanawake Women Organization, the women have come up with an income generating project, such create energy saving charcoal burners and other artefacts. The biggest challenge they face though is to find market for their products. Tremendous leadership and communication skills were exhibited by the great women of Habaswein during the event.